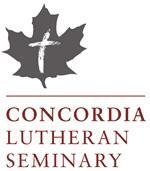 EDMONTON – The Board of Regents of Concordia Lutheran Seminary (CLS) has extended a call to Rev. Dr. James R. Gimbel to become its next president. The action was taken after the seminary’s electors conducted interviews and cast their votes on Friday, October 25. A native of Iowa, Dr. Gimbel spent his formative years in Minnesota, and received his pastoral training at Concordia Seminary, St. Louis. He was awarded a Ph.D. in 2002 from Regent University in Virginia Beach, Virginia. He is married to Jill (née Rosenwinkel), and God has blessed them with three (now adult) children: Andy, Abby, and Joanna.